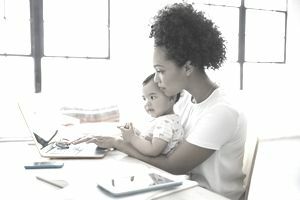 Busy moms who want to stay home to raise their children, but also want to contribute to the family income, have many options for building a flexible home based career. Even so, for many moms, the initial search for work-at-home options can be daunting and discouraging. In past, moms had limited options for making money at home, such as doing child care, ironing services, or direct sales. Today, the Internet has made it easier and more affordable to start a flexible business around raising children. If you are a mom wanting to work at home, here are 5 Internet-based home business ideas to consider. As far as products, you can sell products you make, or buy wholesale or used items for resale. Getting your store online is easier and more affordable than ever. Building an ecommerce website doesn't require a great deal of expense or coding knowledge anymore. Or you can tap into commerce services such as Amazon and eBay. What is Etsy and Why Should I Sell There? Millions of people go online everyday to find information. In many cases, they're willing to pay for it. You can tap into this by creating your information products and selling them online. Other information products include online course, seminars, trainings, printables (i.e. planners), and more. A blog is a fun and great way to make money from a topic you know and/or love. This is especially true if many others know and love it as well. While you offer the information for free, there are many options for making money, including Google AdSense and other ad feed programs, that will place ads on your site, and then you can get paid when people click on the ads (but don't you click on them or that will violate the Terms of Service). Other money-making options include affiliate products, selling ad space, or selling your own products. The trick to success in blogging is through internet marketing to build traffic. The more targeted traffic you get to your site, the more likely you'll make money. Marketing affiliate products and services is basically getting paid to make referrals to other business. It's word-of-mouth marketing that can make you money. One great aspect of affiliate marketing is that you don't have to sell or deliver products. The most highly paid affiliate marketers either have a niche blog (see above) or use a squeeze page and email newsletter funnel system to promote special affiliate links. When your link is used, you can earn a commission or flat rate from the referral. Affiliate marketing only works if the people you're making the referral to know and trust you. To do that, your blog readers, newsletter subscribers, and even social media followers, need to get more than just ad links from you. Instead, you need to also share helpful tips and resources.